This is the second meeting between these two teams in World Championship history: seven years ago Russia overturned an 18:16 deficit to record a 31:27 win. It will go against form if the same were to happen today. Somehow the IHF ranks Slovenia 23rd and Russia 3rd in the global men’s game. We’ve not seen that in Spain. Slovenia have been the only team to play consistently in pretty much every match and, as a result, they have won every match. 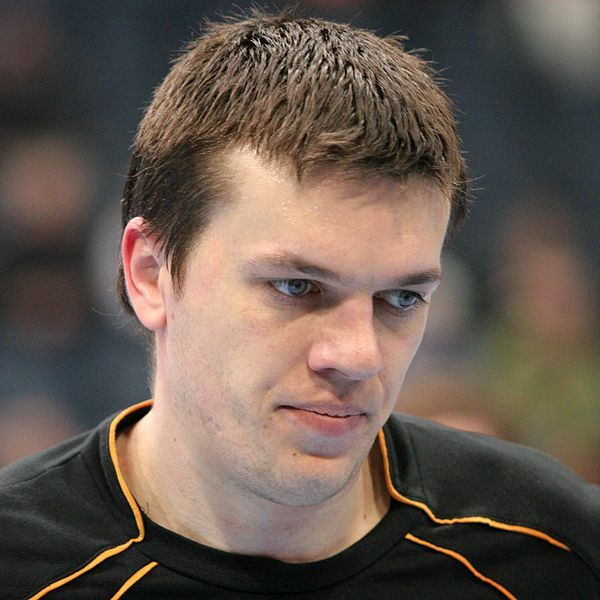 Russia was heavily dependent on their goalkeeper, Igor Levshin, in the previous round against Brazil. They need to find more ways of moving forward – and speed up their game which very often has dropped to pedestrian levels. A goalscorer other than Timur Dibirov would also help. Are we excited yet? Spain have beaten Germany in five of their last eight competitive meetings and in front of their home crowd will be expecting to do so again. They were ruthless against Serbia – if you’ve seen how the Norway women’s team pounce on the ball and then launch a fastbreak that crushes hopes you’ll know what I mean. And Spain did it time and again to establish a dominant position they never remotely looked like losing. They did wobble a bit against Croatia in the group stage but could put that down to having already qualified. Germany showed against Macedonia that they too can move the ball quickly when needed and they have a tournament leading 95% fastbreak efficiency (scoring 36 times this way in their 6 games so far). This game could boil down to who makes the fewest errors and respects possession the most. If Germany are to win I’d guess they need to hit the front early as with the crowd going wild it’ll be hard to come from behind. Given that Denmark are one of the favourites it’s possibly a surprise to note that Hungary hold the edge in recent encounters. Denmark were runners-up to France two years ago and have played this tournament like a horse conserving energy for the sprint after the final fence. They haven’t been inspiring but they have done what they need to do. They eased past Tunisia in the last round but with players such as Mikkel Hansen and Anders Eggert capable of turning matches by themselves they can always find that next gear. Hungary are a team without any dominant stars (or so it appears to me): Gabor Csaszar leads their scoring with 25 but he’s part of a group of half a dozen with a similar tally. It will be that sort of dogged togetherness which may see them hang in today but anything other than Danish win will be the upset of the tournament. 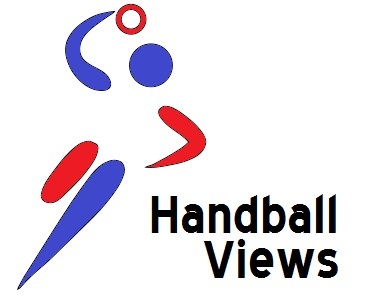 In the twelve competitive matches logged on Handball Wettpoint, France have a 7-5 advantage. But two of those were major finals: the 2009 World and 2010 European finals went bleu. Croatia have their own titles too of course: two Olympic golds and a World title. This is the Big One of the quarter final stage. Read off a list of the French squad and as well as sounding like a PSG shopping list it’s a roll call of the most exciting players in the game: Karabatic, Dinart and Abalo, backed with the shouty and fun Thierry Omeyer in goal. Croatia have come to the tournament without Ivano Balic and with a coach talking about a ‘transition’ team or why this isn’t an important tournament to win because you don’t qualify for another as a result. Croatia’s performances have shown such lines up for the hooey they are. They won all five of their group matches and then smashed Belarus 21:9 in a single half of play. 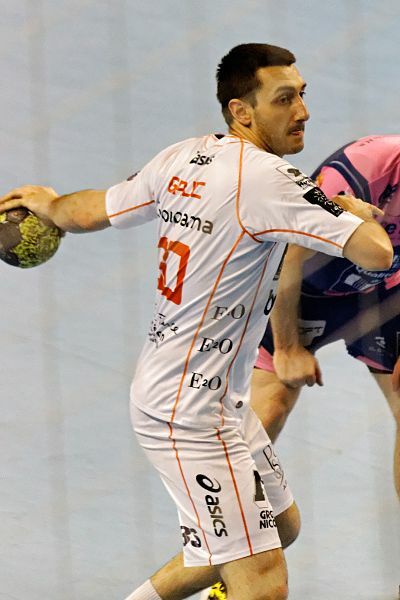 Ivan Cupic has led the way with 39 goals, 30 of which have come from fast breaks or 7m slams. Expect this game to go down to the wire. So, today saw the end of the group stages and the end of the host nation’s 100% record. Spain lost 25:27 to Croatia (who maintained their own 100% record) in front of 10,000 in the Caja Magica in Madrid. Jakov Gojun was red-carded for the Croatians but two late goals from Igor Vori and Lovro Sprem saw them home after the Spaniards had led the match entering the final five minutes. Over in Zaragoza two other 100%ers went head to head: Slovenia overturned a 30:27 deficit in the final five and a half minutes to emerge 33:30 winners and take top spot in the group. The last two teams to progress were Belarus and Egypt. Belarus did it the easy way by overpowering Saudi Arabia in a match that was one-sided throughout. Egypt and Algeria contested the last spot through the medium of goal difference. Egypt did what they had to by beating Australia by 25 goals meaning their goal difference was 7 better than Algeria leaving the latter requiring an unlikely victory over Hungary (or draw to progress). They put in a brave performance but lost. It’s the final day of the group stages at the World Championships. After today every match we talk about will be an eliminator. The last two places in the knock out rounds will be decided today. In Group C, this comes down to a straight head to head between Belarus and Saudi Arabia. Both teams have only one win in the tournament so far – and that against South Korea who have disappointed throughout – but whereas Saudi have scored only sparingly (80 goals in four games) and not really contested the matches they’ve lost, Belarus have the championship’s top scorer (Siarhei Rutenka) and blew a 5-goal half-time lead against Slovenia and weren’t embarrassed against Poland. They should have enough in defence to limit Saudi’s goalscoring and should be able to score pretty easily as well. Anything but Belarus progression would be a surprise. The match starts at 2.45pm (UK). Group D is a bit more fiddly. In their head to head Algeria and Egypt tied. The next determiner is therefore goal difference. At the moment, Algeria are level on goal difference and Egypt are -18 but today Egypt play Australia who averaging losing by 24 points. Algeria have to face Hungary. If Egypt win by enough to go ahead of Algeria’s goal difference – and Algeria lose to Hungary then by my reckoning it is Egypt who will progress. The only sure thing is that Egypt will beat Australia by a big margin and who goes through may very well come down to how interested a Hungarian side that have already qualified manage to stay. Match times are 3.45pm for Egypt v Australia and 8.15pm for Hungary v Algeria. The other games of the day are: in Group C, Poland against South Korea (5pm) and Serbia v Slovenia (7.15pm); in Group D, Spain v Croatia (7pm).